After thorough examination, NASA managers have decided to suspend the planned March 2016 launch of the Interior Exploration using Seismic Investigations Geodesy and Heat Transport (InSight) mission. The decision follows unsuccessful attempts to repair a leak in a section of the prime instrument in the science payload. The instrument involved is the Seismic Experiment for Interior Structure (SEIS), a seismometer provided by France’s Centre National d’Études Spatiales (CNES),Toulouse, France. Designed to measure ground movements as small as the diameter of an atom, the instrument requires a vacuum seal around its three main sensors to withstand the harsh conditions of the Martian environment. A leak earlier this year that previously had prevented the seismometer from retaining vacuum conditions was repaired, and the mission team was hopeful the most recent fix also would be successful. However, during testing on Monday in extreme cold temperature (-49 degrees Fahrenheit/-45 degrees Celsius) the instrument again failed to hold a vacuum. NASA officials determined there is insufficient time to resolve another leak, and complete the work and thorough testing required to ensure a successful mission. The spacecraft, built by Lockheed Martin, was delivered to Vandenberg Air Force Base in California, on Dec. 16. With the 2016 launch canceled, the spacecraft will be returned from Vandenberg to Lockheed’s facility in Denver. The relative positions of the planets are most favorable for launching missions from Earth to Mars for only a few weeks every 26 months. For InSight, that 2016 launch window existed from March 4 to March 30. 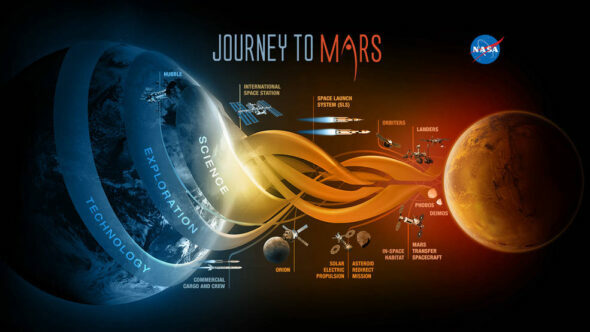 NASA is on an ambitious journey to Mars that includes sending humans to the Red Planet, and that work remains on track despite Tuesday’s decision. Robotic spacecraft are leading the way for NASA’s Mars Exploration Program, with the upcoming Mars 2020 rover being designed and built, the Opportunity and Curiosity rovers exploring the Martian surface, the Odyssey and Mars Reconnaissance Orbiter spacecraft currently orbiting the planet, along with the MAVEN orbiter, which recently helped scientists understand what happened to the Martian atmosphere. The agency also is participating in the European Space Agency’s (ESA’s) Mars Express mission currently operating at Mars and plans to participate on ESA’s 2016 and 2018 ExoMars missions, including providing telecommunication radios for ESA’s 2016 orbiter and a critical element of a key astrobiology instrument on the 2018 ExoMars rover. InSight’s science payload includes two key instruments: SEIS, provided by CNES, and the Heat Flow and Physical Properties Package (HP3), provided by the German Aerospace Center (DLR). SEIS was built with the participation of the Institut de Physique du Globe de Paris (IPGP) and the Swiss Federal Institute of Technology (ETH), with support from the Swiss Space Office and the European Space Agency PRODEX program; the Max Planck Institute for Solar System Research (MPS), supported by DLR; Imperial College, supported by the United Kingdom Space Agency; and JPL.